It’s been said before and I’ll say it again: SEO is constantly changing. This past year we saw Panda and Penguin updates, the increased importance of semantic SEO, new features available in AdWords, updates to Google+ and authorship, and much more. One of the best ways to keep up with SEO news is to follow some of the top SEO blogs in the industry. Unfortunately, navigating through all of your choices isn’t always easy. What you want to look for in a SEO blog is not only that it covers the latest SEO news, but that it also takes that news and analyzes what it means for your company. These topics, in addition to other relevant “how-to” articles, videos, and guides, are what make an SEO blog stand out against the rest. You see where this is going: I weeded out a few of the best that really fit this criterion and have great potential for 2016. The Google Blog. This is obviously a blog that never gets old. It’s always updated, it’s always correct, and it’s always something you should be reading. However, this blog is purely for the latest news from Google. You won’t find them giving tips on subjects you want to learn more about. For that, you have to read the others. Search Engine Land. Arguably the most popular SEO blog around, this one seems to have it all. It is always the first to break news, and you’ll find that they have several articles on one subject, so all of your questions can be answered right on this blog. You’ll find that most of the writers are the same each day, but the topics definitely have good variety. Search Engine Watch. 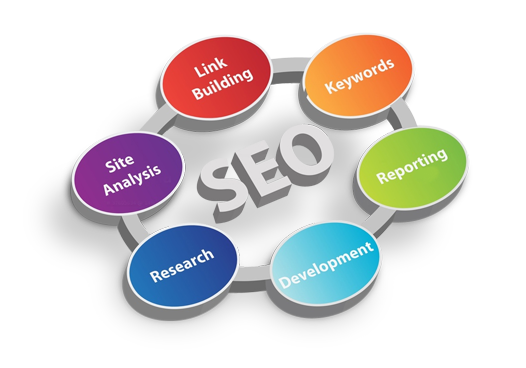 This is also one of the main blogs out there on the web for SEO. This is probably one of my favorite sites to navigate and one of my favorite designs. While Search Engine Land is typically the first to break news and get it out there, Search Engine Watch still covers the news and always seems to publish just a little bit more frequently and add just a little bit more information. In other words, reading both is beneficial. Search Engine Journal. This blog thrives on guest contributors, so you’re always getting different topics and different voices. It still covers news like the other two main websites, but this one seems to have a little bit more fun with videos, great comments, and some of the most detailed content around. Note: I’m the Editor at Large of this site but I still think it should be on the list! Moz. Moz has been in the SEO game since 2004, publishing some of the best guides available for beginners. They also publish quite a bit of advanced material and keep things very detailed, so just about any small business can benefit. They don’t report SEO news quite as much as the others, but they delve into popular topics frequently. KISSmetrics. This is a cool blog because it puts a focus on data and metrics and is incredibly thorough. Although they do cover other subjects besides just SEO, they publish frequently enough that there is almost always a few articles each week that can help your SEO efforts. If you’re looking for content that is detailed and covers every angle of a topic, this is your blog. HigherVisibility. This is one of those SEO blogs that focuses quite a bit on the “what it means to you” aspects of everything SEO. It doesn’t just tell you the news and what it might mean, but it actually gives you steps and tools to put something in place to take action on your website. In other words, it’s one of the best out there if you’re really looking for useful advice about improving your SEO. SEMRush. SEMRush is a company that does more than just blog (they offer one of the best SEO site audit tools on the market), so they really know their stuff. You’ll see guest authors on this blog occasionally and it’s always updated with the latest information. Like HigherVisibility, there is a lot of advice found here that you can really take and put into practice. Content Marketing Institute. This blog is only getting better because it puts a focus on content. Although SEO is again, like KISSmetrics, only a part of their blog, it offers great information and advice that you can easily apply to better SEO practices. Now that content is so crucial for SEO success, this blog will be one not to miss. HubSpot. The greatest thing about this blog is the way it’s written. The articles have a conversational tone and have done a good job “humanizing” the content to make it easy to understand. The Marketing Blog is where you’re going to find your SEO advice, but HubSpot also has blogs covering other topics (sales, academy, web design, etc.) that I recommend checking out.